Elusive, enigmatic and beautiful, Joan Leigh Fermor (1914-2003) was also one of the finest photographers of her time. 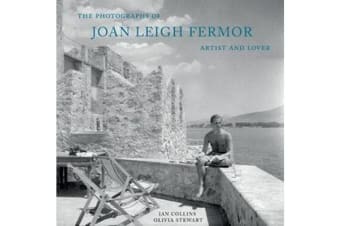 Although hailed and hired by John Betjeman and Cyril Connolly from the 1930s, and a remarkable recorder of the London Blitz, she most excelled in pictures of unspoilt Greece taken between 1945 and 1960 as visual notes and with no thought of publication. The scale of her achievement was only discovered after her death in 2003. What emerge in her wide-ranging work is an eye of immense subtlety and empathy, and an entire absence of ego. The artist’s ease is reciprocated in the faces of Cretan shepherds, Meteoran monastics and Macedonian bear-tamers. Her vision is both intimate in portraiture and architecture, and panoramic in landscape, and most firmly focused in an abiding love of Greece. The archive of 5,000 images now in the National Library of Scotland – and partly introduced in this monograph – reveals, at long last, a 20th century photographer of significance.